It's been an eventful month weather-wise with near-record snowfall. With snow in the forecast this weekend, the Chicago area could break our February all-time record if we receive another inch of the white stuff by Monday. Last week's balmy temperatures melted our two-foot snow cover. 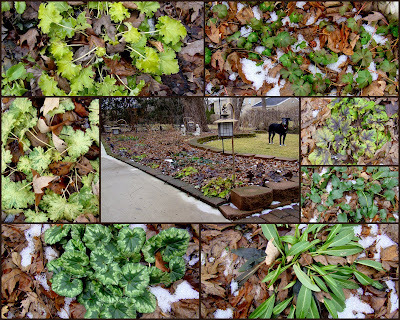 As much as I enjoy winter's slower pace and freedom from gardening chores, it sure is sweet seeing a bit of green, and knowing spring is just a few short weeks away. Blooms are scarce here in February! Still, we do have a few indoor blooms to share, like this jasmine. Sitting out winter in our sunny dining room, this plant is growing like crazy, and has been blooming all winter. The fragrance is wonderful! The fuchsia is hanging out in the basement under our big light. While the blooms are paler indoors, it blooms nonetheless, and has been since early January. I've collected some succulents over the winter, and while this echeveria (labeled only as Silvery-Blue-Grey,) isn't a bloom, in February it can pass as one. There are a few Dragon Wing begonias overwintering indoors too, and blooming non-stop. 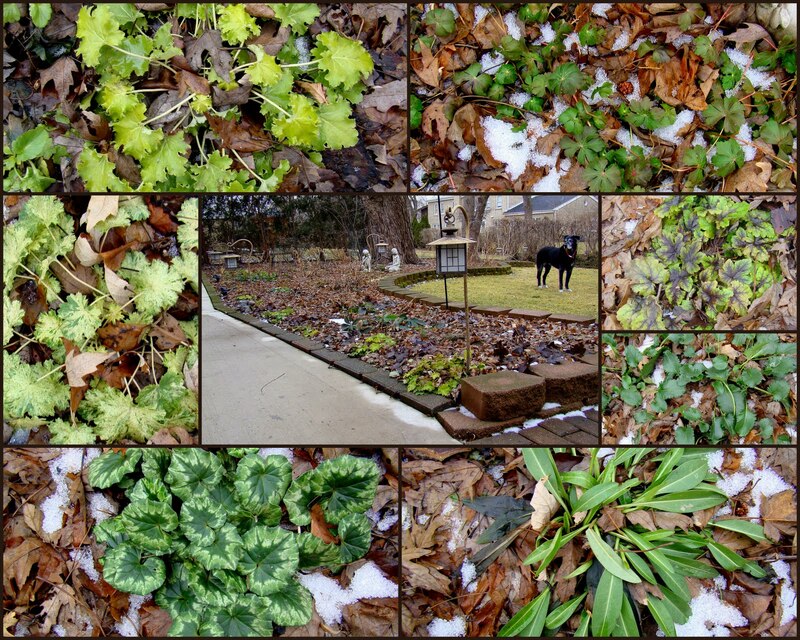 The garden's been snow-covered most of the winter, and now we're in the midst of a thaw. 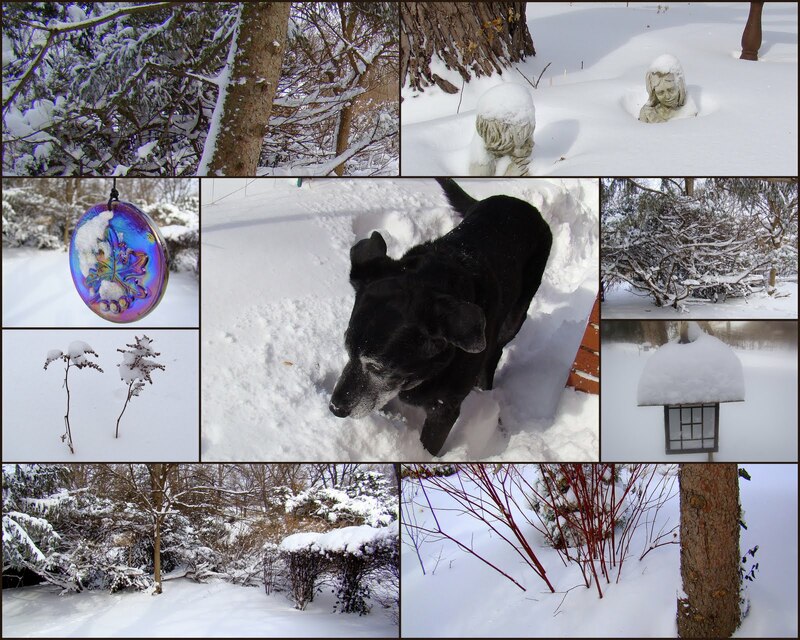 Nothing looks very pretty outdoors, making our indoor blooms so appreciated as we wait for spring.